On the radio program, This Week in America with host Ric Bratton, I cover the meaning of pH balance, how to identify if you have Metabolic Acidosis (most people have this condition and don't even know it), and surefire tips to heal with an alkaline diet. To listen now, click HERE. For surefire tips to manifest a healthy, happy, peaceful and successful lifestyle, here's my radio interview on program This Week in America—Create Your Best Life in 2019. Distributed exclusively by High Tech Health, Inc., this advanced ionizer/water purifier (pictured below next to the sink) first filters the tap water to remove contaminants, chlorine, chemicals, taste and smell. Then the water is treated with ultraviolet for disinfection. Next it enters an electrolysis chamber where it is treated with a precise direct current that divides it into two distinctly different types of water, alkali-ion and acidic-ion. In the process, the molecular cluster (size) of both types of water is broken down from 10 to 12 molecules per cluster to 4 to 6 molecules. The resulting water permeates the body quickly and efficiently. For more than 20 years, I’ve used this terrific advanced water purifier and highly recommend it to everyone. I attribute my vibrant health to this water, and I've never taken any prescription medications in my life and haven't had a cold or the flu since I've been drinking the water fresh from this device. For more information or to order, please call Emery, Ext 813 at either of these numbers: 1-800-794-5355, 1-303-413-8500 or visit: www.HighTechHealth.com. Water is the driving power behind all forms of life. Our bodies are over 70% water and all of our body fluids contain it. Even the food we eat is predominantly made of water. 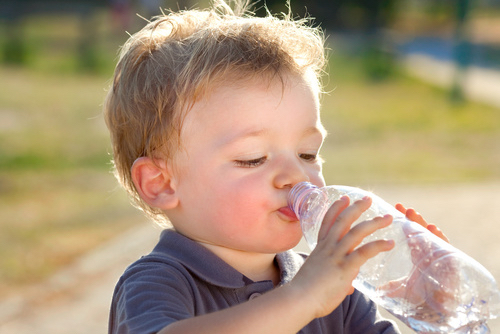 Water adjusts the body’s temperature and through urination and perspiration rids the body of toxins. 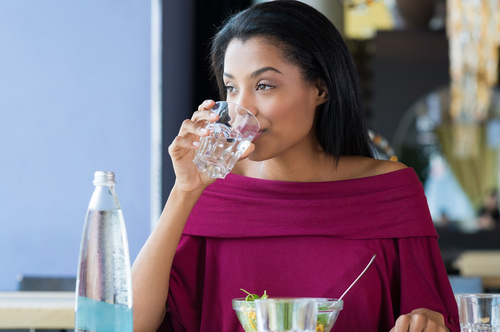 Health authorities recommend that we drink at least 64 ounces (one half gallon) of water each day to attain proper hydration. 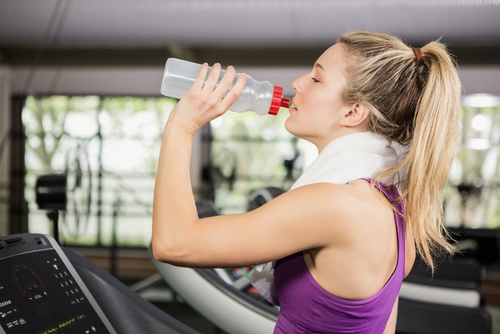 Most of us are dehydrated, which can lead to great physical impairment and, in severe cases, death. 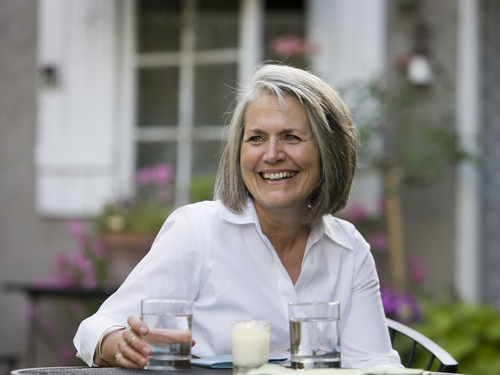 Dehydration is especially prevalent among men and women over forty years of age. 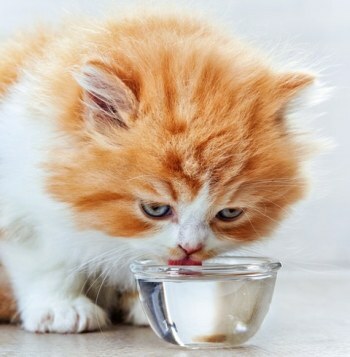 For the body to function properly, it is imperative that it be properly hydrated. As mentioned on pages 63-65 in my book The Healing Power of NatureFoods: 50 Revitalizing SuperFoods & Lifestyle Choices to Promote Vibrant He alth (Hay House), when we alkalize our bodies, we maximize our health. Cells produce acidic wastes as they metabolize energy. A byproduct of this process is a free radical, which is an ordinary oxygen molecule that is an electron short. This free radical attacks healthy cells in an attempt to correct this electrical imbalance. A lifetime of damage can lead to chronic illness as well as pathological aging. This is referred to as the “cellular-damage model of aging.” As my friend and author Sang Whang states in his book, Reverse Aging, “We age because we accumulate acidic wastes.” Antioxidants block this process by contributing electrons to active oxygen molecules thus neutralizing their effect on healthy cells. Chronic disease, diet, lifestyle, stress, antibiotics, toxicity and aging all lead to an increasingly acidic shift within the body. Though our bodies can excrete much of this acidity, a kidney cannot excrete urine with a pH lower than 5 without significantly damaging the genitourinary tract. A can of cola has a pH between 2.8 and 3.2. 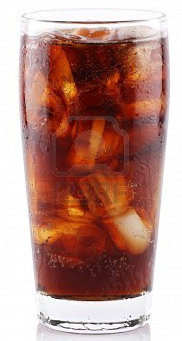 To dilute a 12-ounce can of cola to a pH of 5, an additional 33 liters of urine would be required. Obviously this is not possible, so the body excretes some of its mineral supply to neutralize the acid. We are virtually bombarded by sources of acidity. Excess protein and fat in the diet, for example, are very common to the modern lifestyle and are a substantial source of acidity. Trying to avoid the many sources of acidity is virtually impossible and nearly every one of us, especially as we get older, is increasingly acidic. Why is a Body’s Increasingly Acidic State So Deleterious? This acidic state leads to a condition of malabsorption. 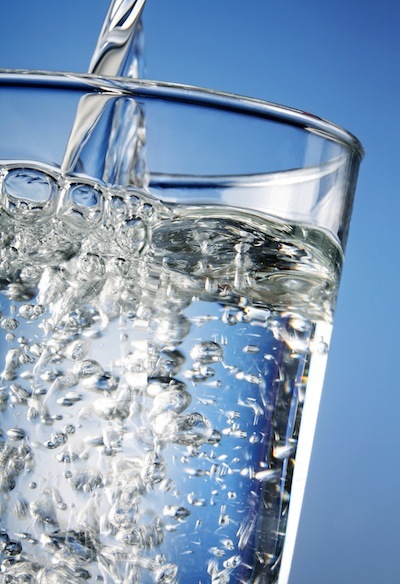 Although a person’s diet may include the needed nutrition, the body cannot properly absorb water and minerals. This results in mild but perpetual dehydration and mineral deficiency. These problems inevitably lead to other, more serious chronic ailments. As the body’s source of immediate buffer becomes stressed, the bones present an emergency source. Calcium is then robbed from the bones, ultimately resulting in decreased bone density and osteoporosis. (Baroody, Theodore A., Ph.D., Alkalize or Die) Besides affecting the bones, the digestive tract is also affected and is usually the first noticeable victim. Often starting with middle age, many people suffer from chronic heartburn, chronic indigestion, constipation, diarrhea, irritable bowel or leaky gut. Impaired nutrition also negatively affects the immune system. It is said that approximately 70% of our immune system resides in the gastrointestinal tract. A healthy digestive system is therefore critical to having a healthy immune system. Are you overly acidic? If you have two or more of these symptoms, you may be suffering from acidic overload. Drinking ionized water (from the Ionizer Plus) can help to restore balance to your body and help eliminate these chronic side effects. Indigestion; Poor Nutrient Absorption; Heartburn; Nausea; Obesity; Chronic Constipation; Chronic Diarrhea; Dehydration; Poor Circulation; Migraines; Arthritis; High Blood Pressure; Osteoporosis; Chronic Fatigue; Fibromyalgia; Irritable Bowel; Leaky Gut. How Can the Ionizer Plus® Help? The solution is to return the body to a state of balance where it can heal itself of the other problems. The Ionizer Plus, through a process of electrolysis, concentrates minerals (calcium, magnesium, potassium) already present in your water. In the process of doing so, the minerals get split into the highly bioavailable ionic form and the resulting water is alkaline (has a pH greater than 7.0). The electrolysis process also reduces the surface tension of the water making the water itself more easily absorbed by the body. Not only does this water help fight and reverse on-going acidity, but it also is a rich source of the very minerals robbed by acidity in the past. Electrolysis is the process that concentrates the minerals making the water alkaline. 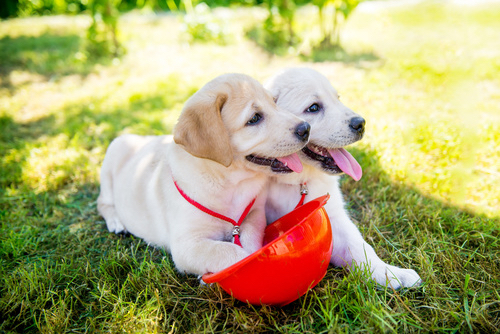 It accomplishes this by passing the water between two electrodes, one with a positive electric charge, the other with a negative electric charge. The minerals in the water then become reduced to their ionic form. Minerals such as calcium, magnesium and potassium have a positive charge and are attracted to the negatively charged electrode. This water, alkaline in nature, is then separated from the water attracted to the positively charged electrode. The Ionizer Plus features Dura-Plat™ platinum-coated titanium electrodes that are the best available anywhere. It’s these electrodes that give the Ionizer Plus the longest product life of any water electrolyzer available – 12 to 14 years for an average family of four. Antioxidants are substances that protect cells and DNA from damage by unstable molecules called free radicals. Free radicals are molecules with incomplete electron shells that are highly reactive. They steal electrons from other molecules causing damage in the process. Free radicals are produced naturally during cellular metabolism and also result from exposure to environmental toxins and heavy metals. Studies have shown that the alkaline water resulting from electrolysis has the ability to improve the functioning of antioxidants. (K. Hanaoka, D. Sun, R. Lawrence, Y. Kamitani, G. Fernandez, The mechanism of the enhanced antioxidant effects against superoxide anion radicals of reduced water produced by electrolysis. Biophys Chem Jan 1; 107(1)71-82, 2004.) 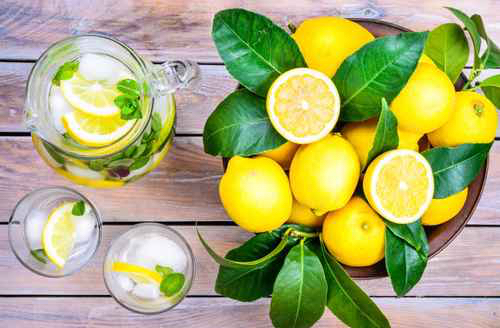 This means that consuming water from the Ionizer Plus enables antioxidants like Vitamin C, or even your body’s natural antioxidants such as superoxide dismutase (SOD), to neutralize more free radicals than otherwise would be possible. The negative ORP (Oxidation Reduction Potential) of the water has been shown to enhance the functioning of SOD further by helping to scavenge hydrogen peroxide, an intermediate yet still destructive oxygen species produced during SOD’s reaction with free radicals. Experts in the medica l community and regular users have indicated reasons for using the alkali-ion and acidic-ion water created by the Ionizer Plus. In addition to the symptoms listed above, the alkali-ion water uses include the following: Better athletic performance; Osteoporosis; Candidiasis, Psoriasis, Leg cramps; High blood pressure; Chronic constipation; Chronic diarrhea; Migraines; Indigestion; Ongoing stress; Abnormal gastrointestinal fermentation. I use this water for drinking and all meal preparation. It’s for use internally. For external use, the acidic-ion water helps improve the following conditions: Eczema; Acne; Dry rough skin; Athletes foot; Insect bites; Dandruff; Minor wounds; Mouth sores; Hemorrhoids; Blisters; Throat discomfort; Rashes. I also use this water to wash fruits and vegetables and to water and spray my plants. 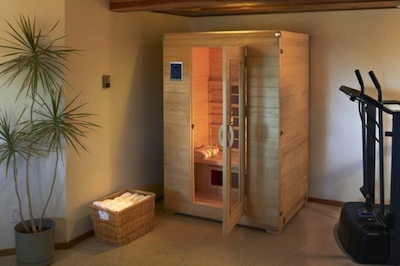 I also highly recommend both the Thermal Life and Transcend Infrared Saunas from High Tech Health. I have one in my home and another one in my office, and have been taking saunas for decades. 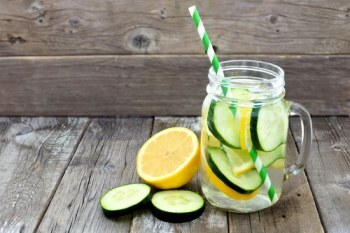 It's an excellent way to help the body get rid of excess acidity and increase the alkalinity. These infrared saunas (known as the best ones in the industry) also help in full-body detox, rejuvenation, and vitality. Get a $500 discount on the purchase of a sauna using the same promo code as below. Remember to use the promo code "SSJ" and you'll get a $300 discount on your purchase. Ask for Emery at ext. 813 — the Product Specialist at High Tech Health — who can answer all of your questions.